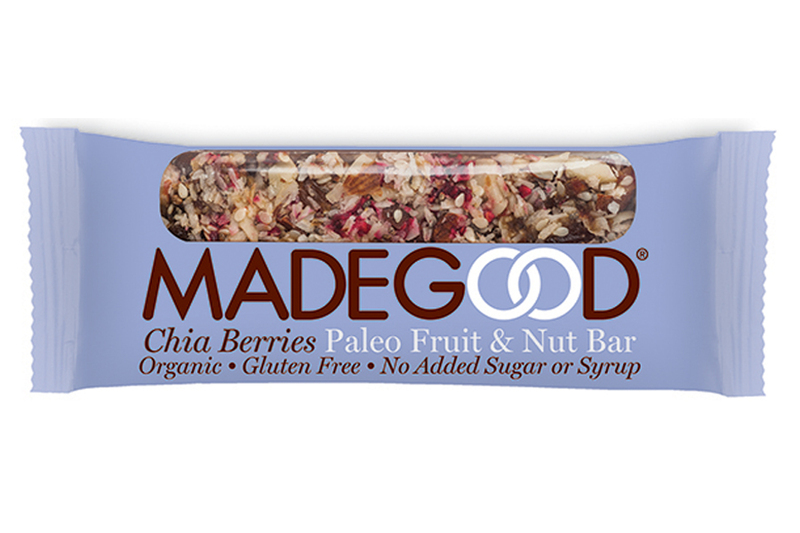 Made Good bar with taste of Chia & Berries, is a fruit and nut bar without honey or syrup. Perfect as a snack and energy boost anytime of the day. The bars are organic and vegan. They are also free of gluten, peanuts, milk and soy. ALMONDS*, dates*, raisins*, coconut*, blueberries* (blueberries*, apple juice concentrate*, sunflower oil*) (4%), chia seeds* (3%), sesame seeds*, raspberries* (2%), tapioca flour*, sunflower oil blend* (sunflower oil*, antioxidants: mixed tocopherols, rosemary extract*), sea salt, raspberry flavor*.